These are just a few of the many afterlife experiences reported first-hand by spirit friends of ITC researchers in recent years. All of these folks eventually wound up in a conglomerate astral paradise called Marduk, or Eden. As I’ve stated elsewhere, I’m 100 percent convinced of the legitimacy of those contacts. After years of contemplation, I’ve come to believe that the spirit world Marduk is an astral template of the physical planet Eden (Marduk) that circled our sun in an orbit between Mars and Jupiter up until some 4 billion years ago, when it erupted in a massive explosion. All that has remained of Eden since the explosion are 1) the countless asteroids and debris that have been ravaging our solar system ever since… and 2) the astral paradise Eden that continues to flourish with life in an astral universe that’s superimposed over our physical universe. All material things, including planets, have spirit bodies superimposed imperceptibly over their material bodies. During an ITC phone dialog in 1992, our spirit friends told researcher Maggy Fischbach about a “shadow world” of the Earth inhabited by spirits, many of them confused, who interact with our world in strange ways, just beyond the perception of our senses and sciences. Crop circles apparently come from the shadow world of Earth, as do most of the strange spirit phenomena we hear about or see on youtube… including a lot of EVP voices captured with recording devices. Even though our spirit friends told us they don’t consider the shadow world to be a spirit world like Eden, and although they have a difficult time explaining to us exactly what it is, I’ve come to believe that it is indeed an astral template of Earth… just as the astral Eden is an astral template of the late planet Eden. I’ve come to believe that life experiences in the spirit-world Eden are similar to what life on the physical world Eden was like 4 billion years ago… a veritable paradise. Likewise, conditions in the shadow world of Earth are much like life on Earth today. For every physical rock or tree or building on Earth there is an astral rock or tree or building in that shadow world. Every one of us living humans has an astral body that’s active, at least part of the time (especially when our physical body is sleeping), in that astral shadow world. Most of our dreams take place there. As we might surmise from the nature of our dreams, the shadow world of Earth is a rather strange and confused place, reflecting the conscious and unconscious thoughts of people living on Earth, and of those who take their confused thoughts with them either when visiting during dreamtime or moving there after death. When people die and shed their physical bodies, their astral bodies live on… usually in either the astral Eden or the astral Earth (the shadow world). People generally wake up in Eden if during lifetime they were aware of and comfortable with the reality of an afterlife, and were generally happy and harbored good will toward others. Those people wind up in paradise. People who believe that death is the end… people who harbor ill will toward others or habitually harm other living things, especially animals and children… most of these people awaken in the shadow world of Earth, often confused and unaware that they’ve died. I suspect the superhuman inhabitants of the material planet Eden long ago traveled to other worlds such as Earth via portals, which would involve going through a doorway in one world, speeding through a multidimensional tunnel, and stepping into a doorway in another world. I further suspect that the tunnels that people experience during NDEs and after dying, are astral templates of those portals used long ago to travel between Eden and Earth. Regina and me with spirit faces, during spontaneous photo shoots in my ITC lab. I’ve come to realize that most of the spirit face photos I captured on Polaroid film over the years were the faces of spirits inhabiting the shadow world of Earth… people in spirit who have not moved very far from Earth since their death. People in the shadow world move in and out of our world frequently… as ghosts, apparitions, and spooks. Some of them were drawn to the photo sessions and showed up on film. Some of the spirit face photos, however, were from Eden. I’m fairly certain of that. Our spirit friends have told us that during ITC contacts, they send a team from the Timestream sending station on Marduk (Eden) to travel through a tunnel to Earth, where they work on the equipment of ITC researchers in order get information to us in the form of computer text, computer images, TV images, telephone conversations, long radio messages, and so on. I’m confident that there were many occasions when my ITC spirit friends visited me (from Eden) either in my lab or during special conferences, in order to show up in the pictures. So, to conclude this series, I’m comfortable in stating that nearly all of the spirit faces I got on film with the help of the luminator came either from the shadow world of Earth or from Eden. Most of the spontaneous photo shoots in the lab involving friends or family probably involved interested spirits in the shadow world. During special events—including meetings of my ITC research group in the lab, visits by television crews, and conferences I attended—I’m sure that my spirit team from Eden was often there helping out. And for that I am profoundly grateful. They worked extremely hard during the years I was actively involved in various ITC experiments. 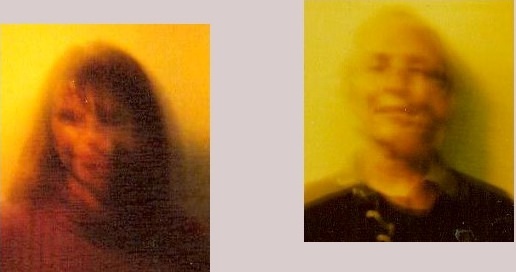 Hopefully this series of articles has shed some light on how ITC experiments happen, especially my spirit face photography. This entry was posted in About Mark Macy, After we die, what then?, ITC, Other-worldly matters, Our ancient heritage, Our paradise destiny, Society and ethics, Spiritual realms and tagged asteroids, eden, luminator, marduk, shadow world, spirit faces. Bookmark the permalink. Thank you, they have worked hard and so have you. I also believe the spirit faces that developed when using the luminator were from Eden and the shadow world. I also believe that many people who record EVP’s are picking up those in the shadow world whose inhabitants are happy to entertain through EVP. I can imagine and fully understand why many people who read these posts will really not be able to accept the existence of further life to be true. For anyone who has never witnessed ‘spirit’ for themselves it must be hard to accept. Thanks for the tip about monitoring my dreams. The so called “Shadow World” may be a dim, poorly light-emitting copy of the physical world with which we are familiar. Some astral travellers mention that the first world they may encounter outside of their physical bodis is a semi perfect copy of the physical environment with which they are familar. This Subtle Realm-low astral environment may be like a ‘shadow’ in that it follows and conforms with the countours of the Physical World which does not emit much self-perpetuated light on its own. Consciousnesses using Subtle Substance Matter may try to conform to the no self-sufficient, poorly-light emmiting characteristics of the Physical World. Thus, when consciousnesses instantly capable of manipulating Subtle Substance Matter try to exist in a physical way they mold a copy the Physical World and the Subtle Substance of their genuine environment instantly conforms and is obscured. I agree with your description completely. thank you for your spirit face articles set, images look really cool and breathtaking. I just wanted to ask you one question: Have you ever studied technical “composition” of your luminator? If so, have you found anything, that could cause this dimensional barriers break? It could be interesting to study in the future, maybe even helpful to find some way to create Atlantis-like traveling portal. Just a thought. Keep up the good work. Hi Patrik. Good question, hard answer. The inventor, Patrick Richards, used 3 luminators on one occasion. The field generated by the 3 devices was such that he had indeed created a portal. As he leaned his head against the wall, it went THROUGH the wall. Moments later, something scary (he didn’t elaborate) came through the portal into our world and apparently left his home and his yard. He immediately unplugged the luminators. Mainly what I know about the luminator is the plexiglass barrel lined with liquid filled rings (water-based) that Patrick “programmed” with intention while making the luminators… the way a person programs crystals. Also, the two counter-rotating fans create a vortex,, like a small tornado inside the barrel, and vortices are sometimes equated to portals…. That’s the gist of what I know about the technical aspects of the luminator. PS – – human nature being what it is–noble-savage–establishing portals from our world is a dangerous proposition at best. We would likely be opening ourselves and our world to many dark and unsavory spirit realms and parallel worlds. I would not recommend working on portals without committed long-term collaboration with ethereal beings who can make sure the vibrations remain pure and subtle, and the portal remains secure and safe. This is very interesting, I was looking up to find info on this subject, due to the fact that I had taken a photo of myself that turned out blurred on my cell phone & the photo did indeed not look right & looks similair to these photos shown here..!! The photo has my face with what appears to be a spirit or a ghost face which seems to be a manly face, enaminating from my own. Glad your search led you to this site! Thank you Thank you Thank you. I have always had a passion for Spirituality and After life studies beyond what is Socially accepted in my Country Nigeria. My beloved Brother who shared the same passion and Love died suddenly in September 2016 your site healed , comforted uplifted me as I was somehow Spirit directed to the website. A lot of the things I read are what we discussed. I know now that we are not alone in our studies and will need to find ways in aiding people searching for truth. Your comments mean a lot to me and are much appreciated. I believe that in the future there will be ITC groups forming, networks of people interested in the afterlife from many parts of the world who connect to each other, and with a good spirit group, through modern technologies such as cell phones and computers. Maybe you would be interested in joining such a group once they start to form? There are no such networks developed at this point (November 2016), but hopefully in the future….